Supplied with 5mm thick 6tpi blade, mitre gauge, rip fence, push stick and dust extraction outlet. 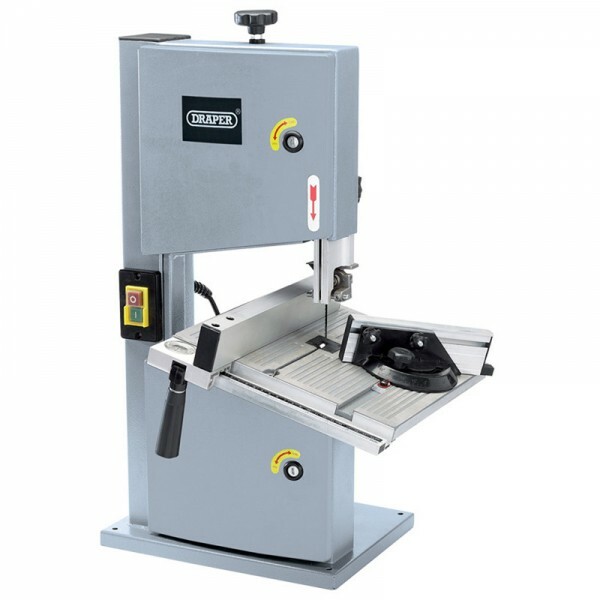 Facilities include a superior cast and ground aluminium table with 0-45° tilt capacity allowing angled cutting, ripping, mitre and bevel cutting. Fitted with a cable and approved plug. Display carton. For further technical information about Bandsaws, please contact us.